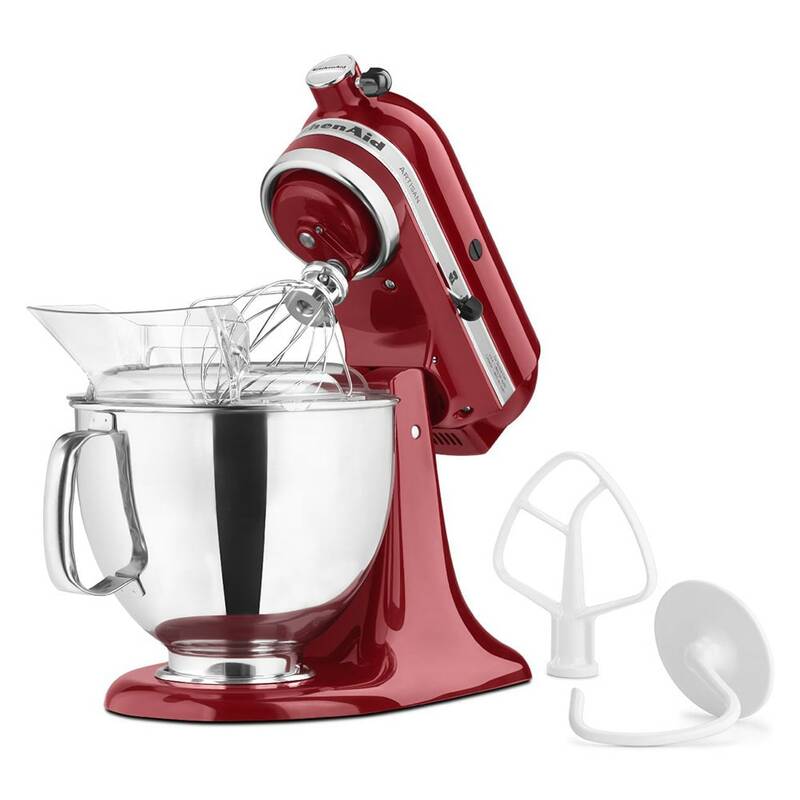 KitchenAid's Artisan® series has a unique mixing action to hit the inside of the bowl 67 times in one rotation for thorough mixing. The stainless steel bowl with comfort handle has a five quart capacity and can be adjusted by a side knob to switch between controlled mixing at slow speeds and powerful whipping on high. The mixer is capable of mixing up to four and a half loaves of bread or seven pounds of mashed potatoes.